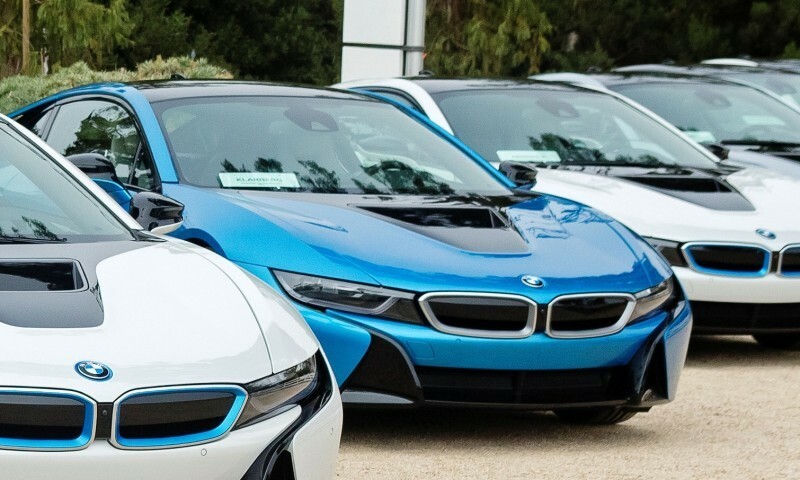 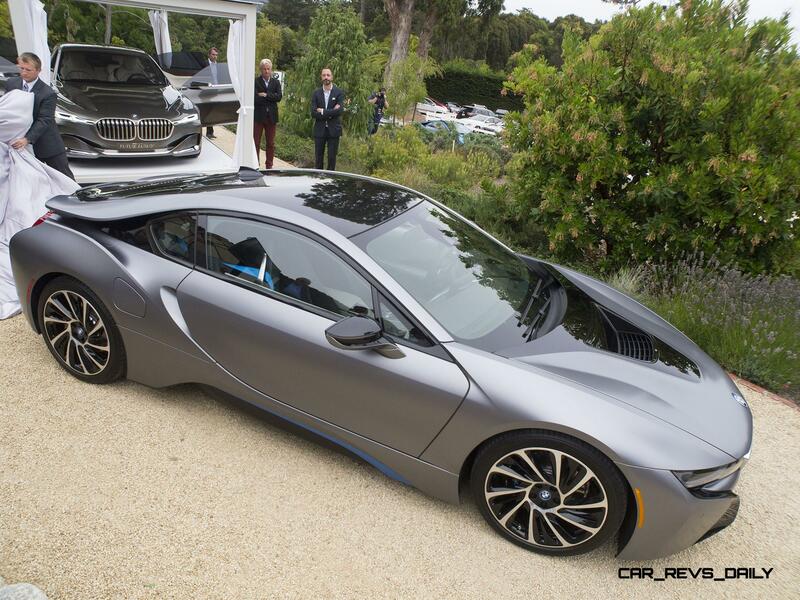 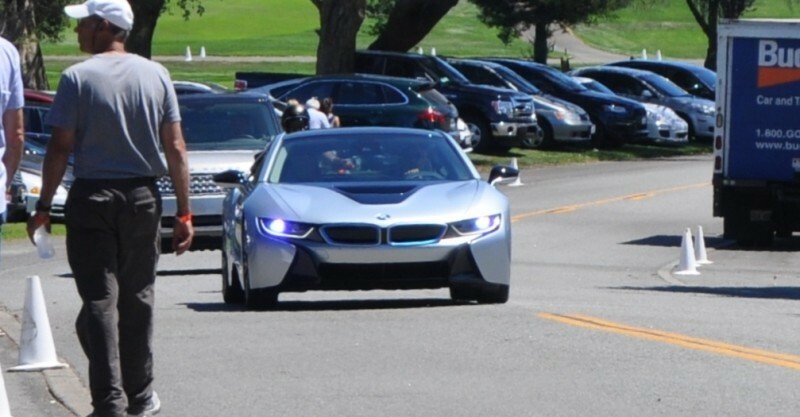 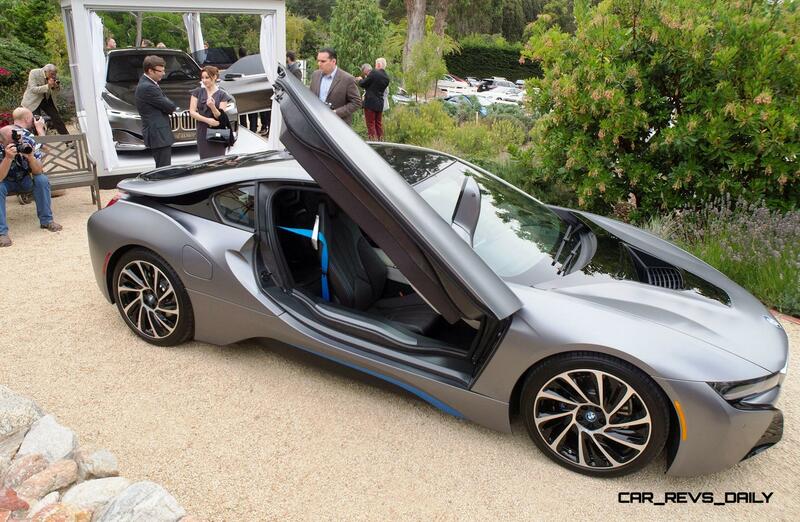 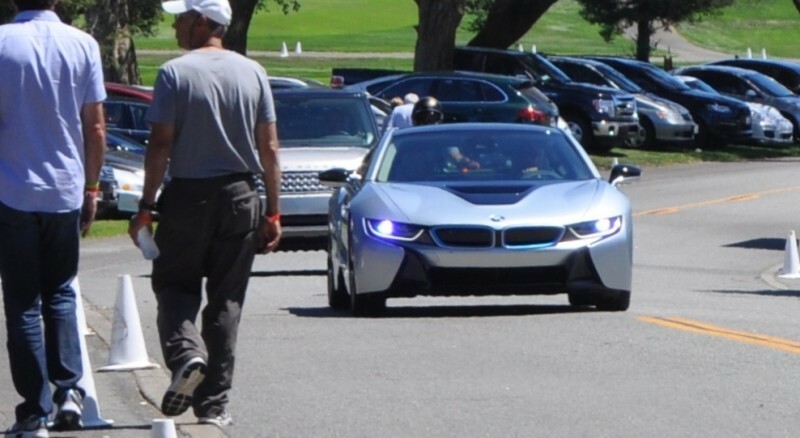 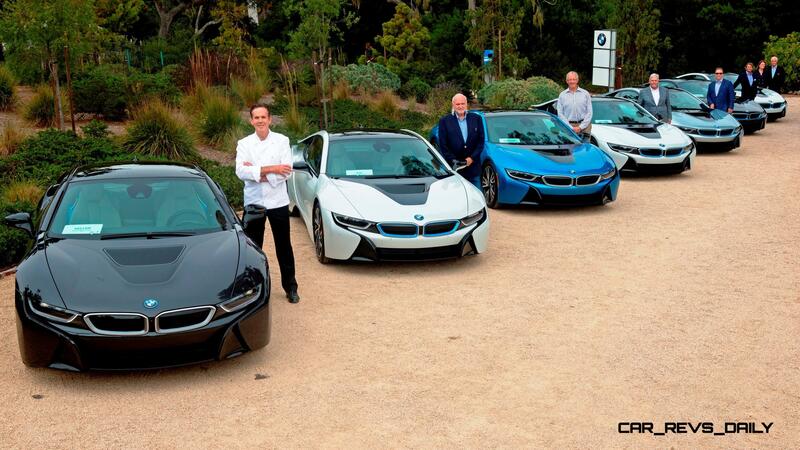 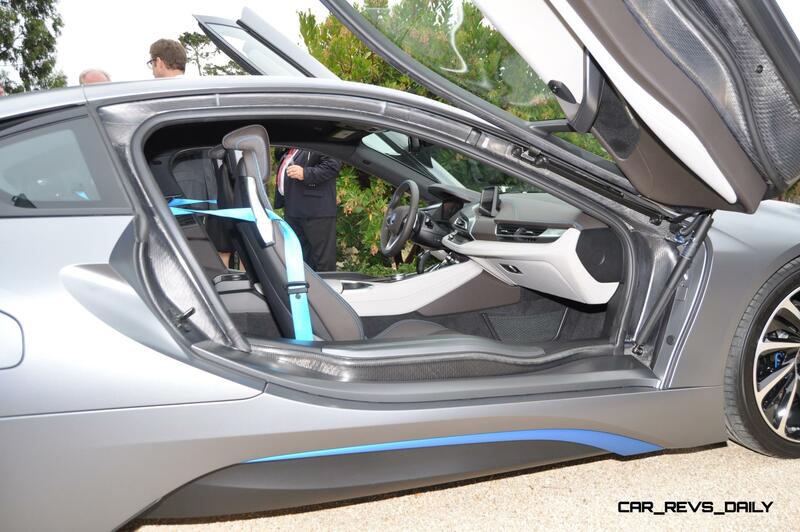 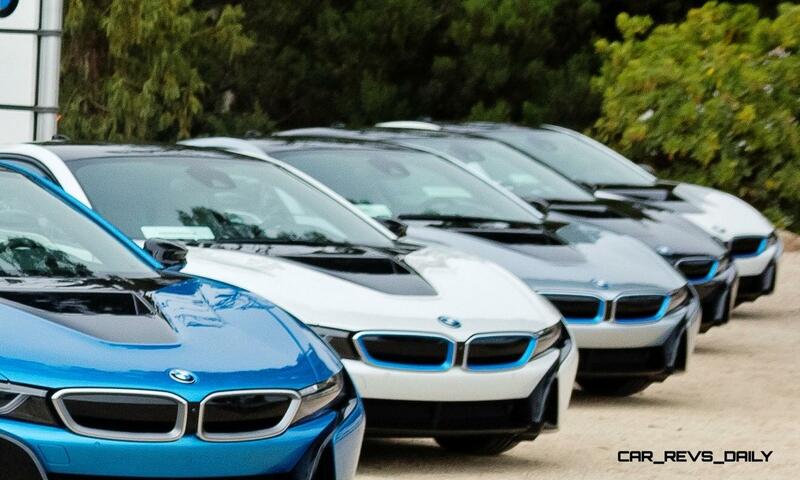 Some big names in the below five-pack of the first deliveries of the BMW i8 at Pebble Beach! 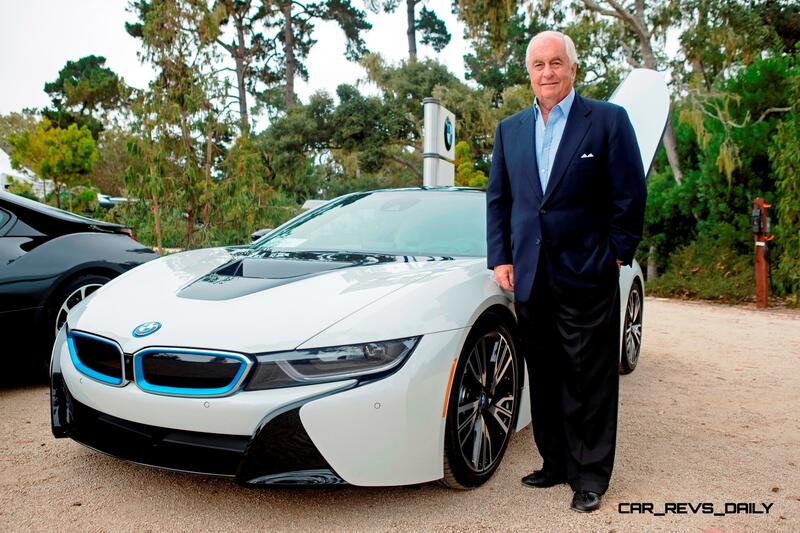 They include racing moguls Roger Penske and Rick Hendrick, among other luminaries. 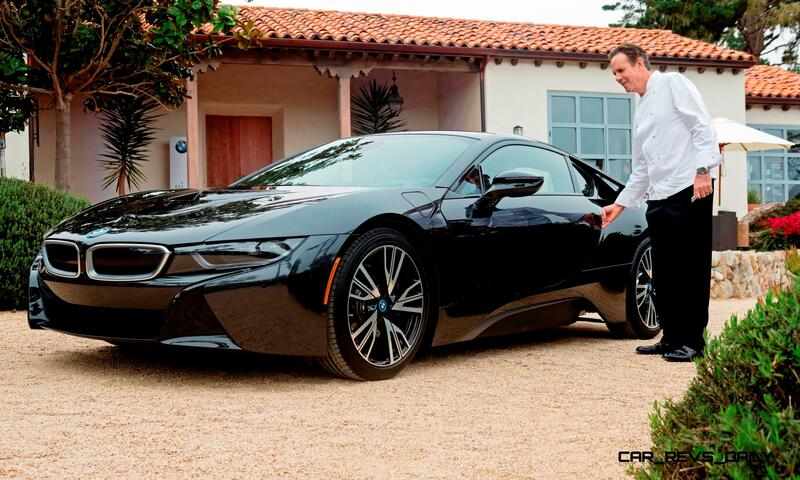 We would vote heavily in favor of the black finish — which is simply amazing, as we can see here. Well ordered, Thomas Keller! 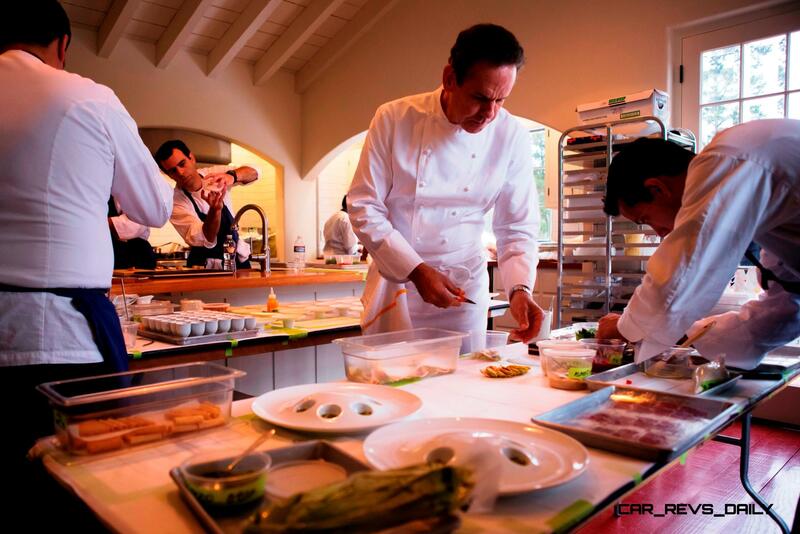 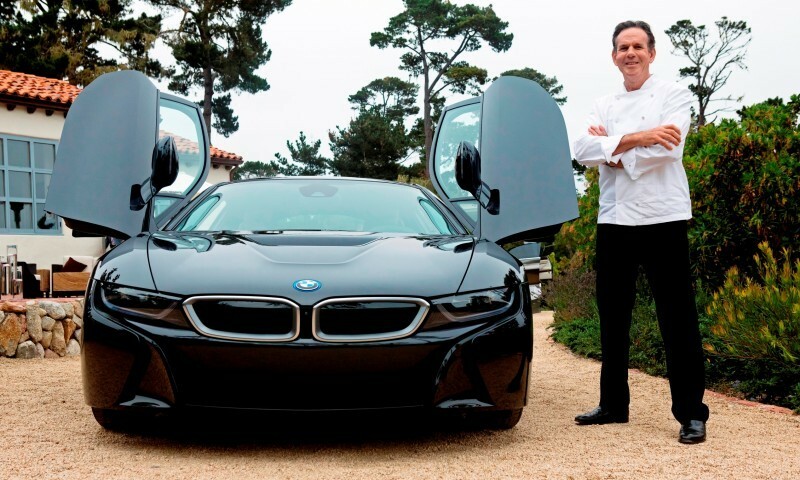 It is interesting that Chef Thomas Keller also appears to be providing dinner for the guests at this event, which is nicely symbiotic from BMW. As the $825,000 total from the charity i8 Pebble Beach Edition shows — the i8 is much more stunning in real life than most people realized in photos. 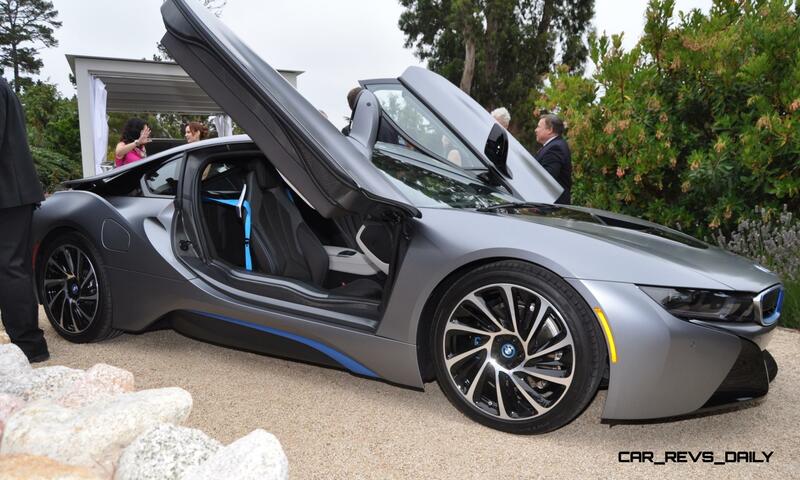 Its low, lean and cultured lines are emblematic of a new generation of BMW supercar passion. 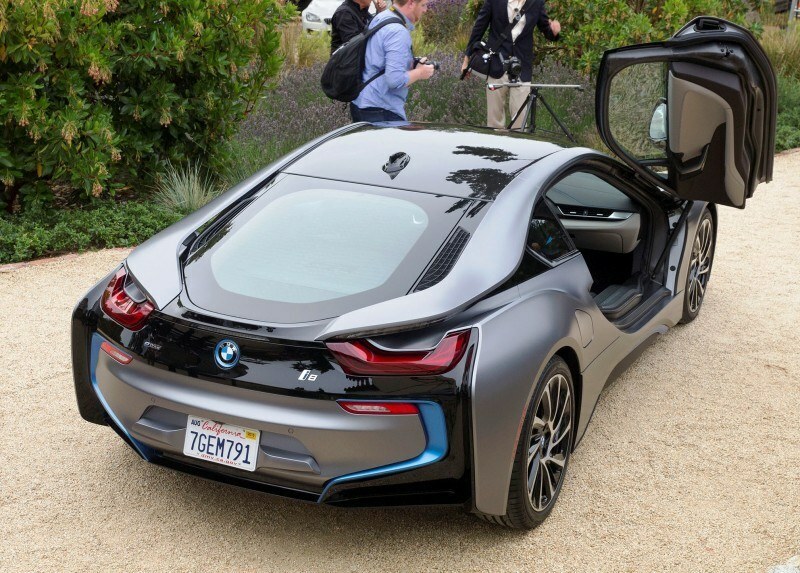 Worth recalling here is that BMW, unlike Audi or Mercedes-Benz, has not had a two-seat supercar flagship since the 2000s Z8 roadster. 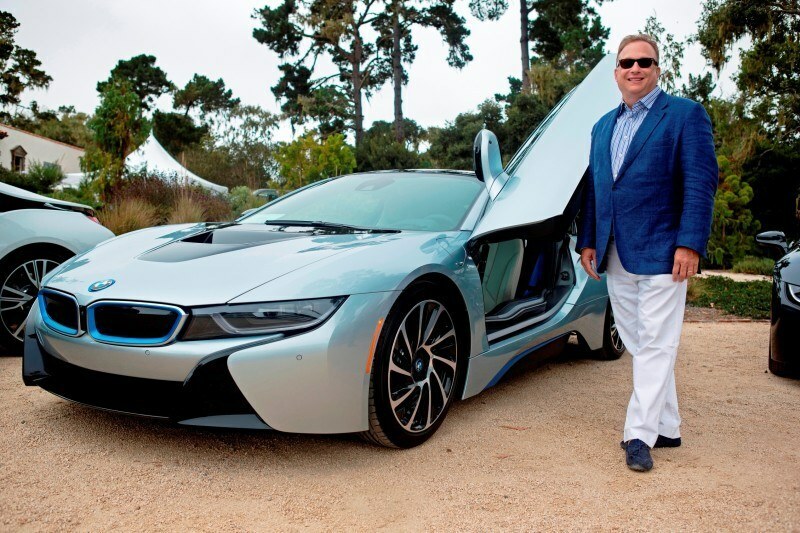 Rejoining the ultra-lux fray with an unconventional EREV Hybrid is surely a risk — but one that is already paying off handsomely both as a halo effect on normal BMW’s as well as for the Monterey County arts and culture charity who are the recipients of the huge auction gavel price. 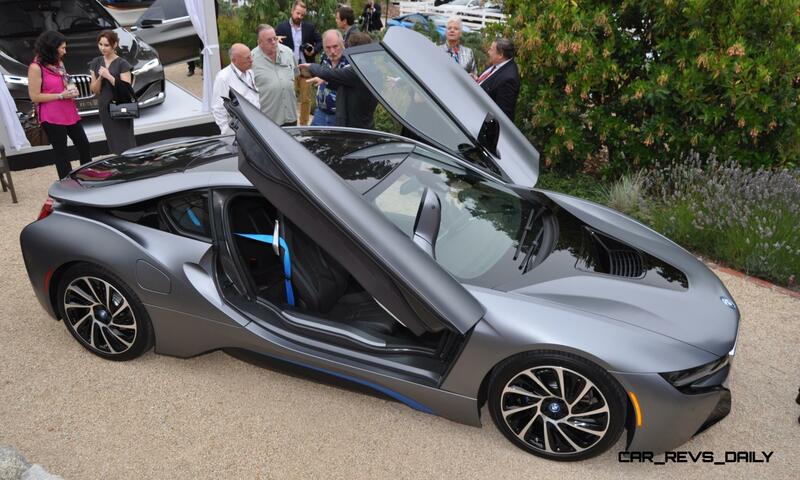 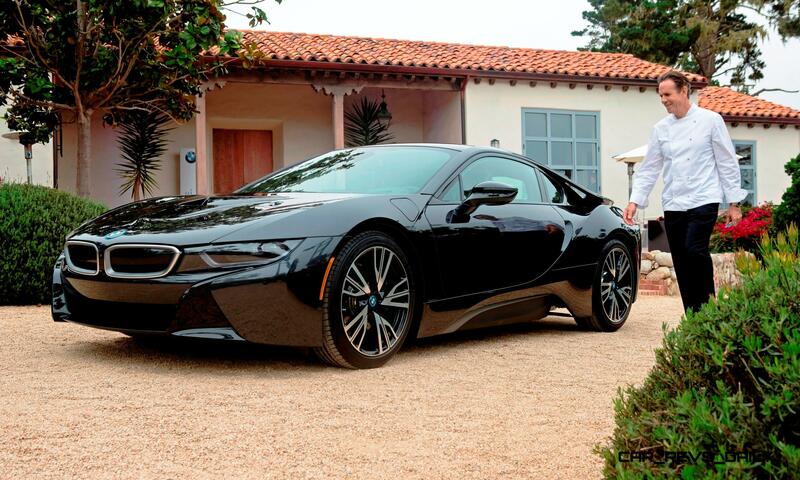 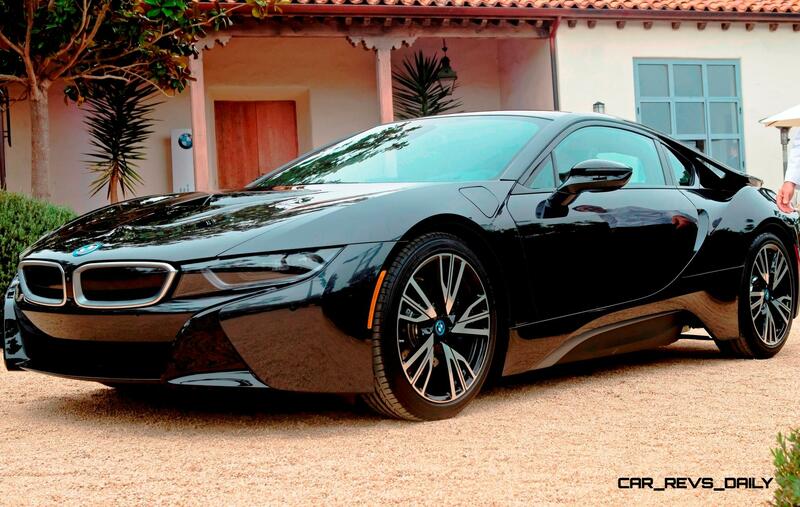 BMW Delivers First BMW i8 Sports Cars in the U.S. at Pebble Beach Concours d’Elegance. 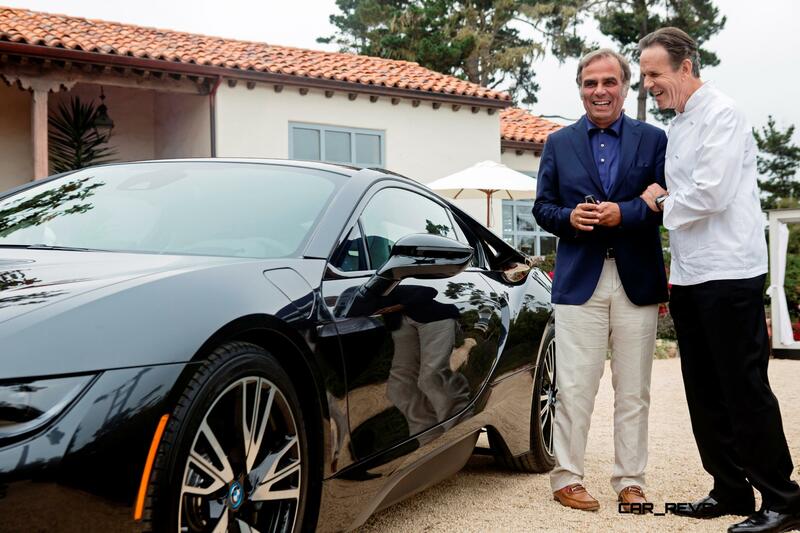 Chef Thomas Keller, Roger Penske and Rick Hendrick Among the First to Take Delivery of the Revolutionary BMW i8 Plug-In Hybrid. 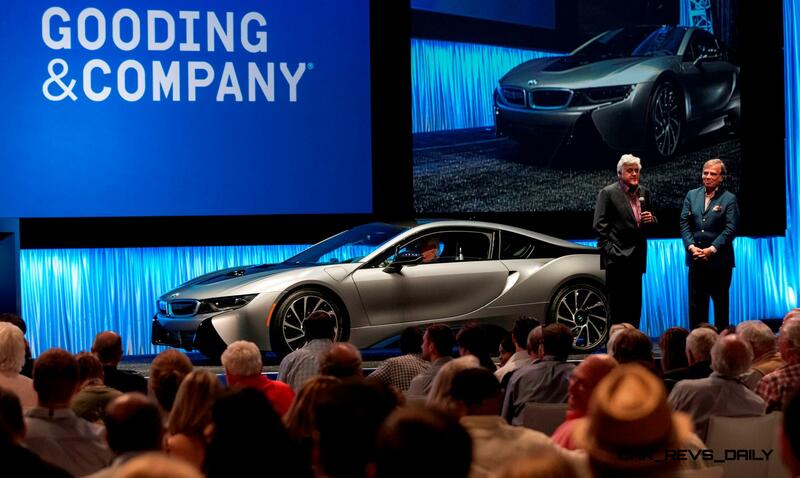 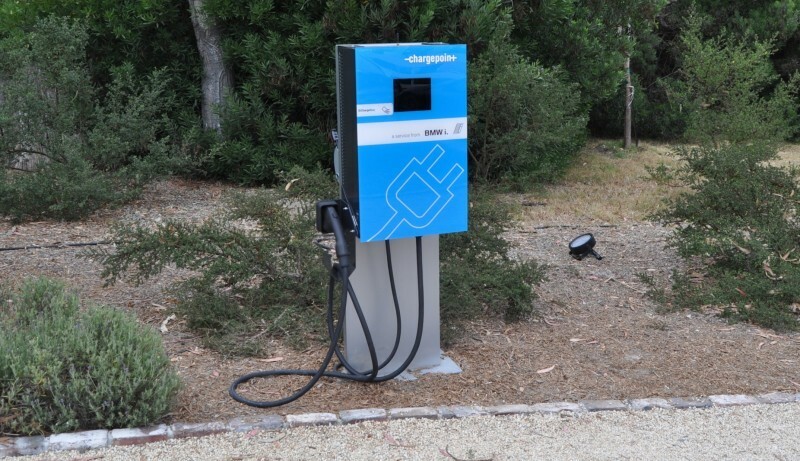 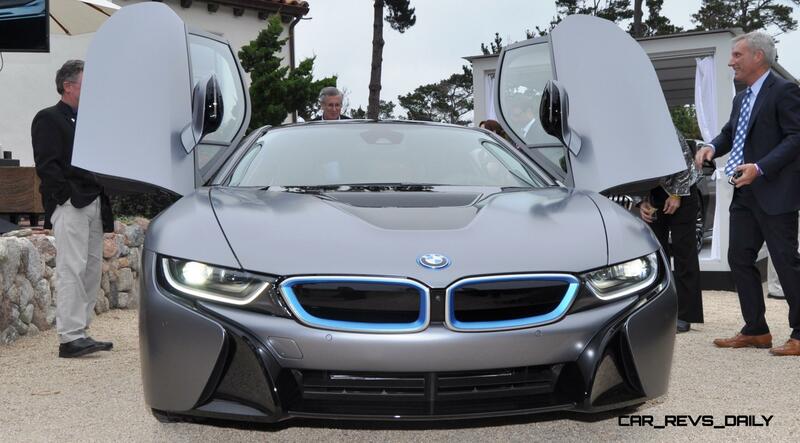 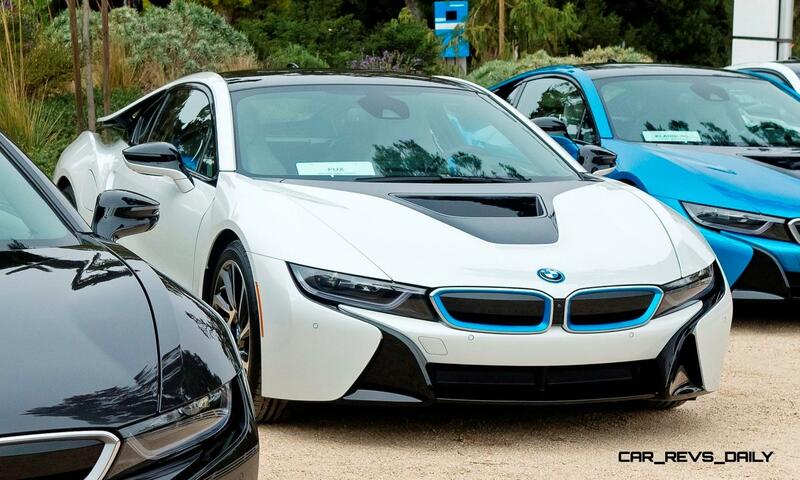 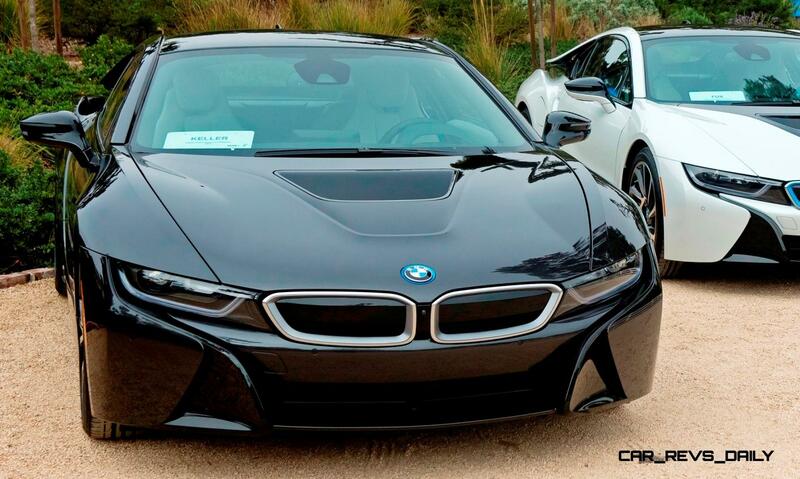 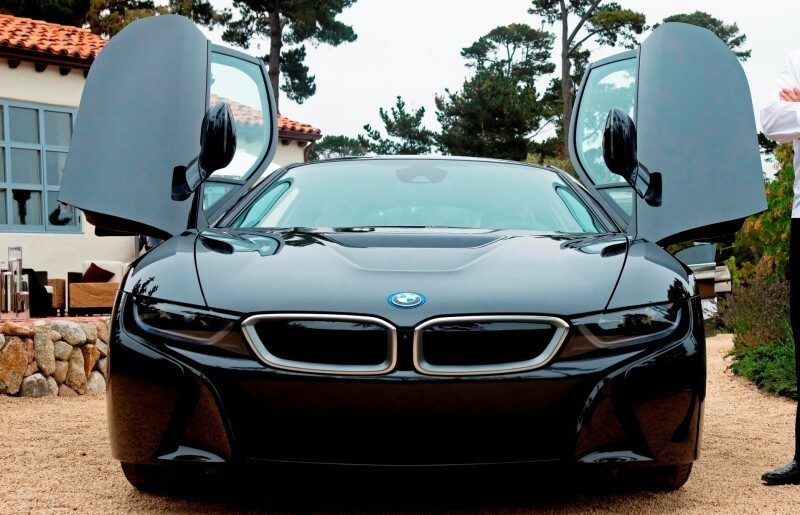 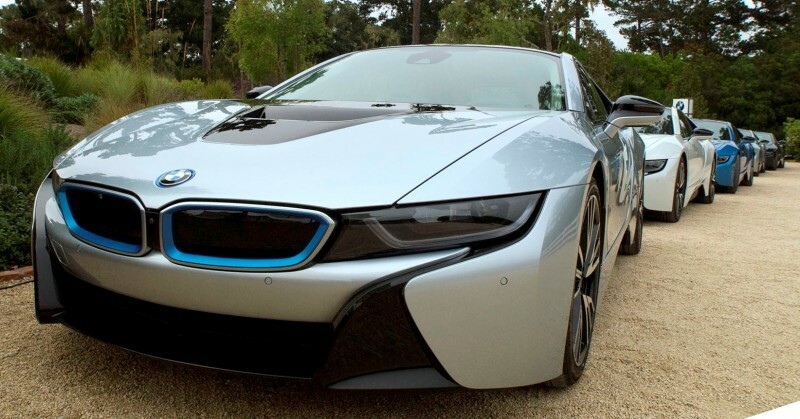 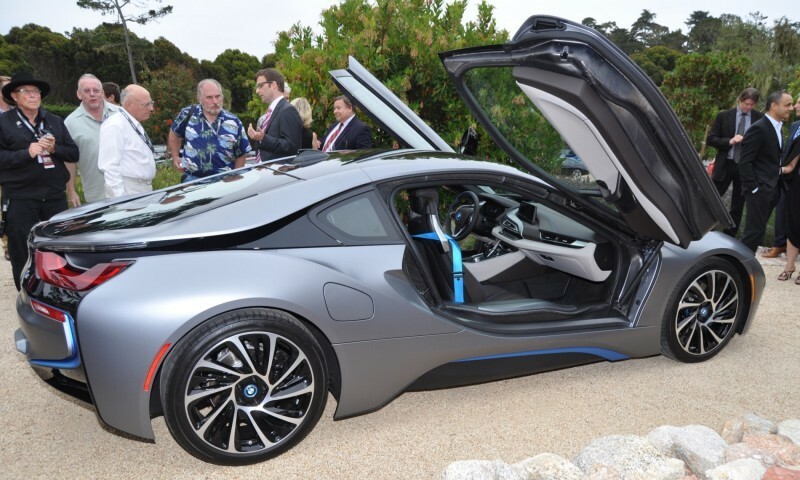 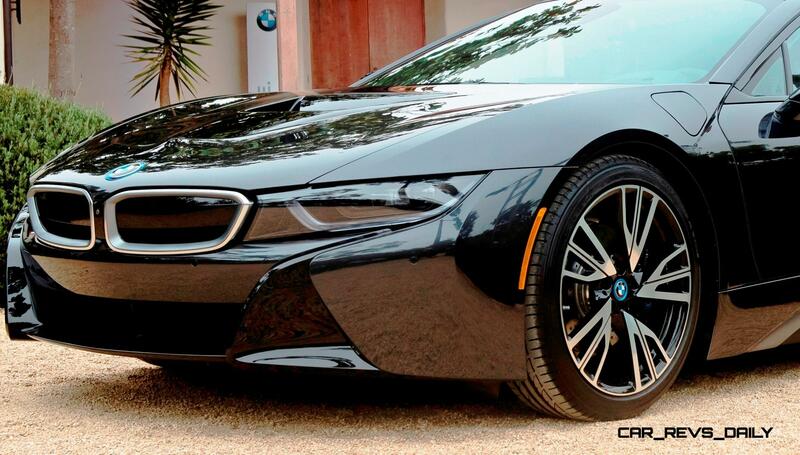 Woodcliff Lake, NJ – August 15, 2014… Today, BMW delivered the first plug-in hybrid BMW i8 sport cars at Pebble Beach Concours d’Elegance, the world’s premier celebration of the automobile, in Carmel, Calif. 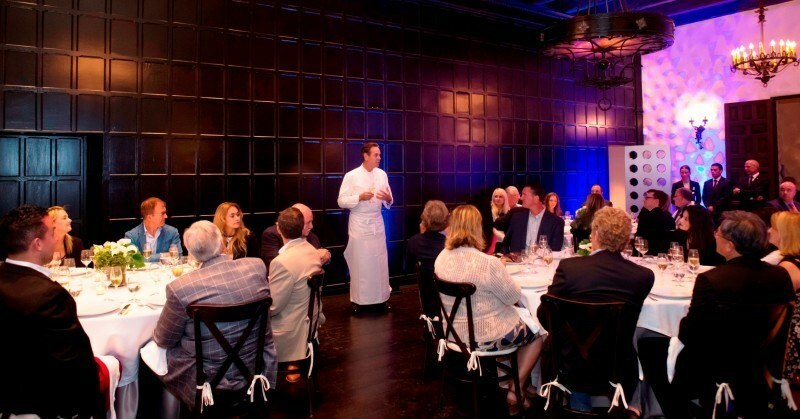 In celebration of the revolutionary sports car made with carbon fiber, renowned Chef Thomas Keller is hosting an intimate dinner at the BMW Villa for a handful of the first owners of the BMW i8. 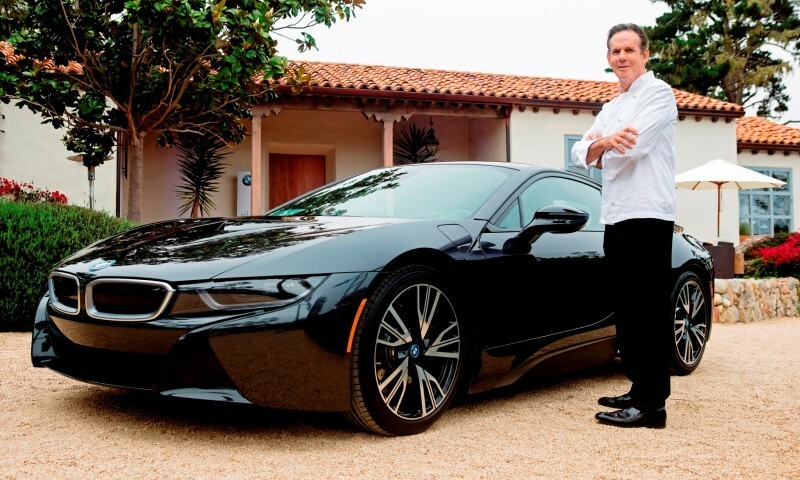 In addition to hosting the special occasion, Chef Keller, who has set the standard within the hospitality industry with restaurants including Per Se in New York and French Laundry in Napa Valley, is joining the BMW i family after taking delivery of his BMW i8. 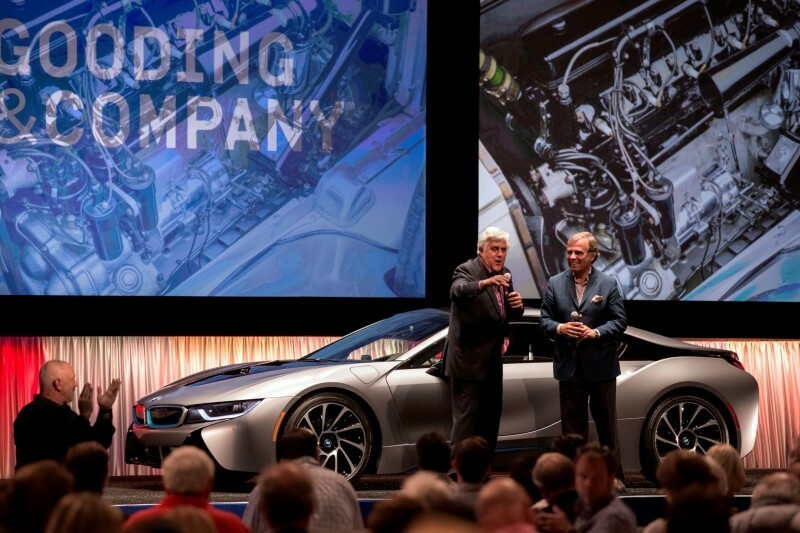 Among the first group receiving a BMW i8 is Roger Penske, Chairman of Penske Corporation, Penske Automotive Group and Team Penske, which operates race teams in both the NASCAR and IndyCar series. 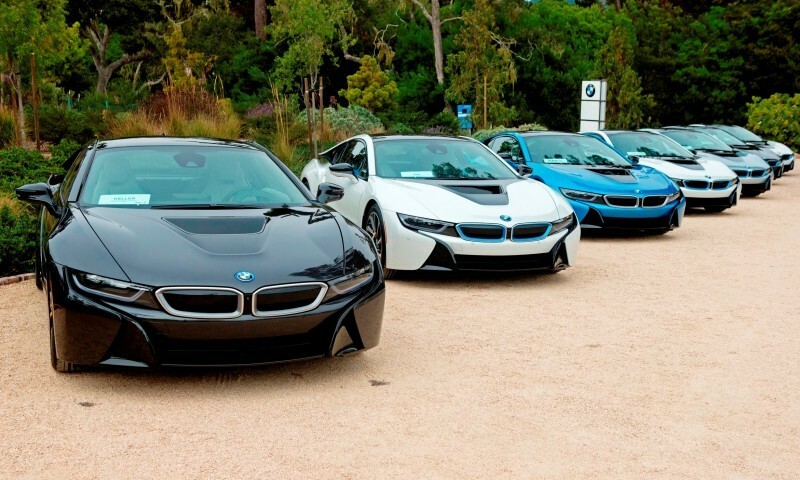 With a strong legacy in transportation services, Penske understands the significance of the plug-in sports car to the automotive industry. 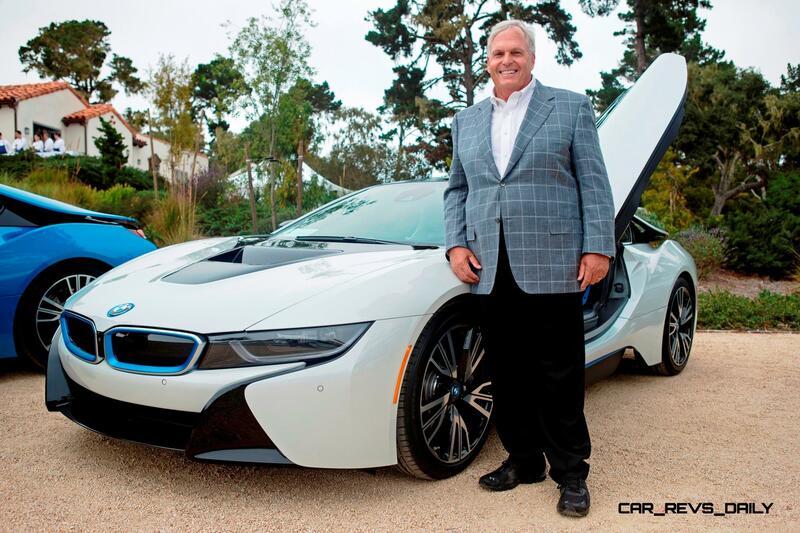 Rick Hendrick, Chairman of Hendrick Automotive Group, currently the second-largest privately held dealership group in the country, will also be taking delivery of a BMW i8 during Pebble Beach Concours d’Elegance. 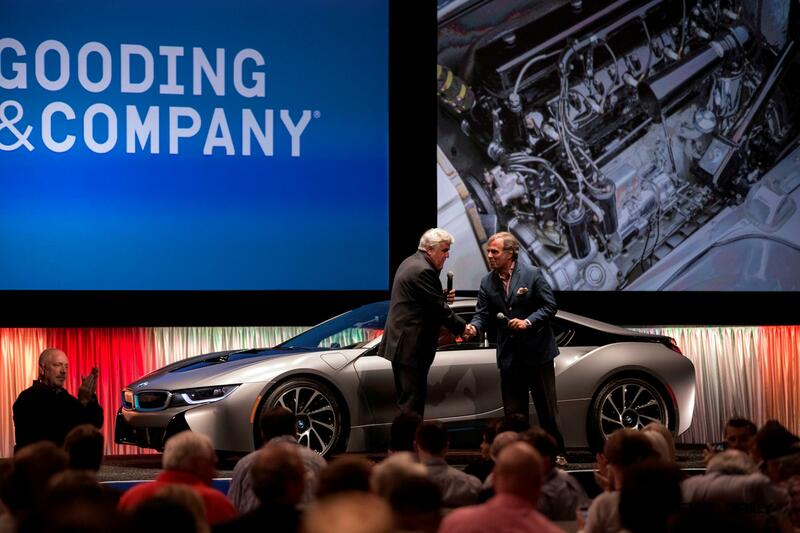 Additionally, Hendrick is the owner of Hendrick Motorsports, fielding four teams competing in the premier NASCAR Sprint Cup Series. 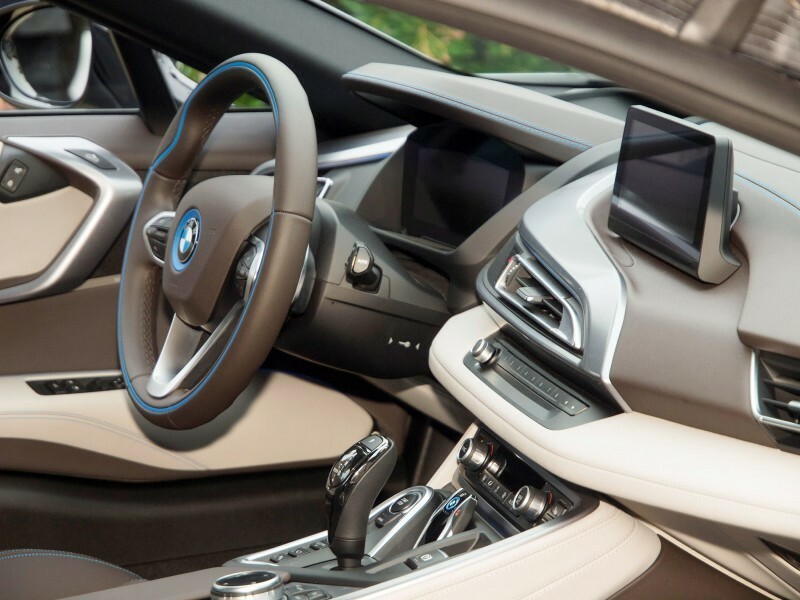 Tony Fadell, Founder and CEO of Nest, which reinvents unloved home products, like the thermostat. 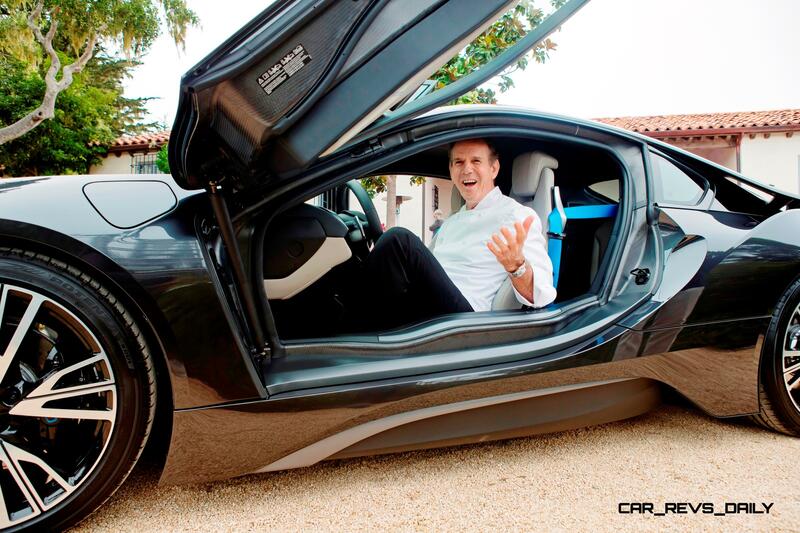 Michael Fux, a pioneer in the mattress and bedding industry and is currently CEO of Comfort Revolution. 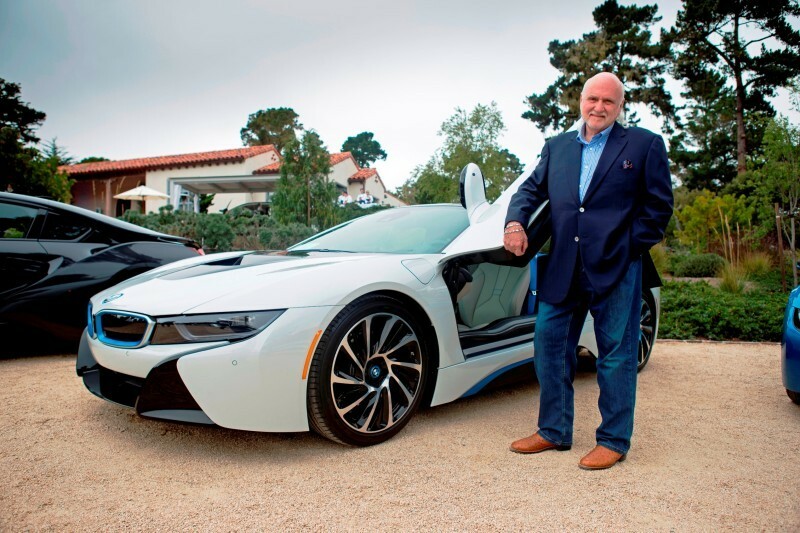 John Hendricks, Founder of the global media company Discovery Communications and Founder of Curiosity Project, a multi-platform service delivering highest-quality deep-dive content to lifelong learners. 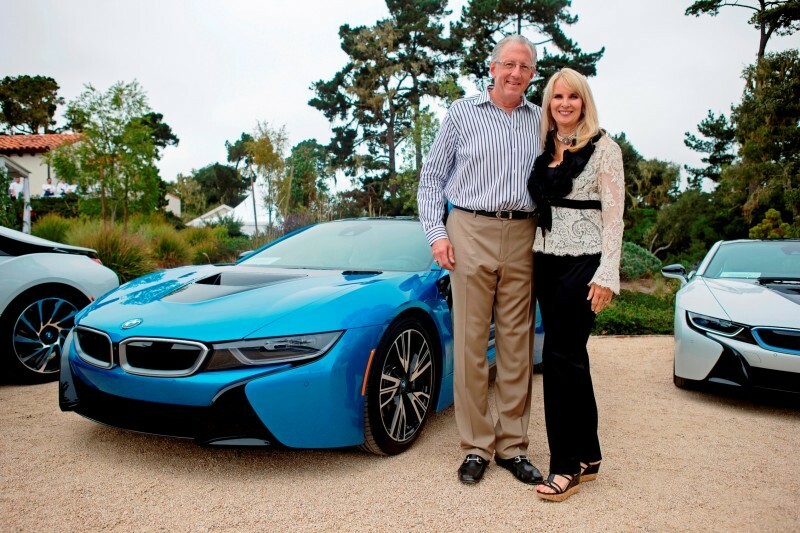 Barry Klarberg, Founder, CEO, Monarch Business and Wealth Management. 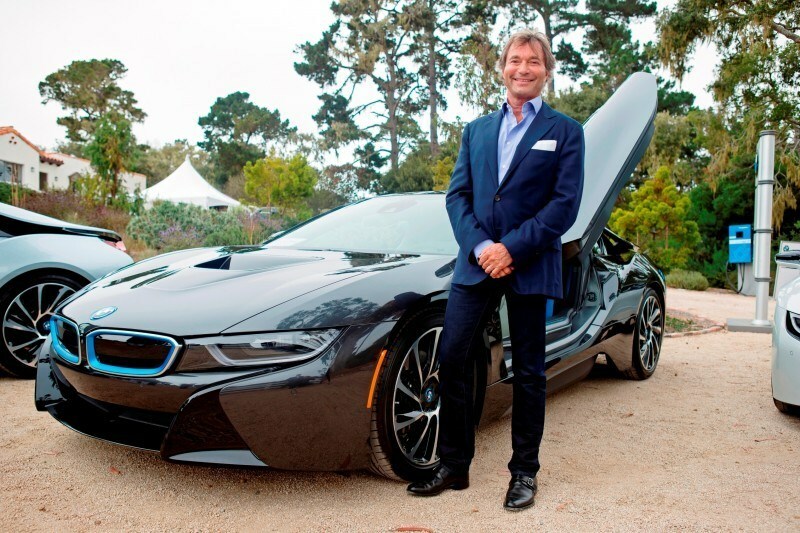 Miles Nadal, Chairman, CEO President and Founder of MDC Partners, one of the largest advertising holding companies worldwide. Sam Nazarian, Founder, Chairman and CEO of SBE, a leading global hospitality and entertainment company. 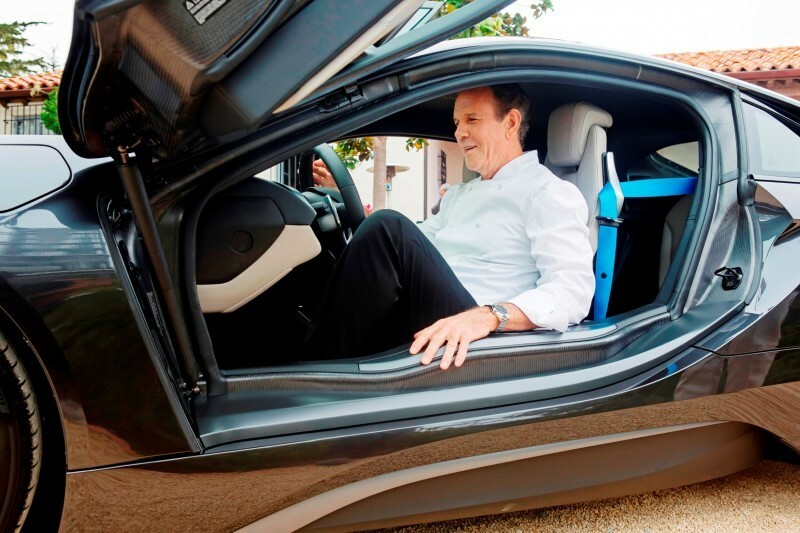 Patrick Wachsberger, Co-Chairman of Lionsgate Motion Picture Group, a premier next generation global content leader. 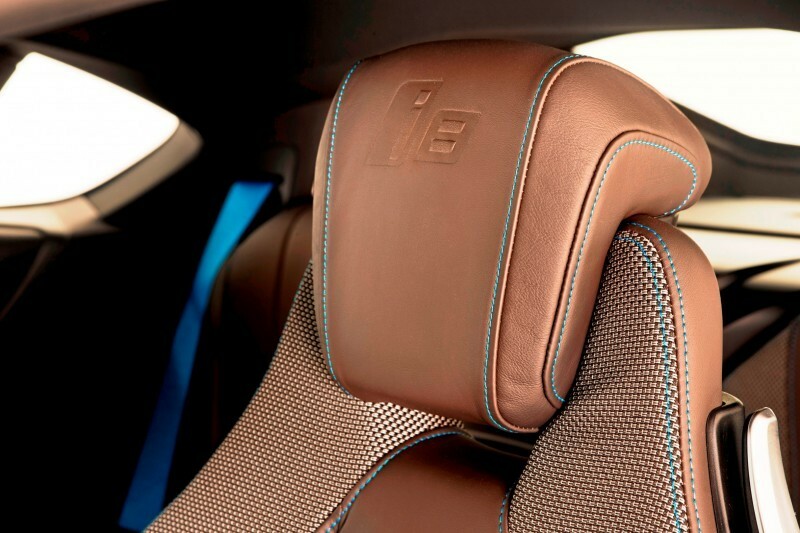 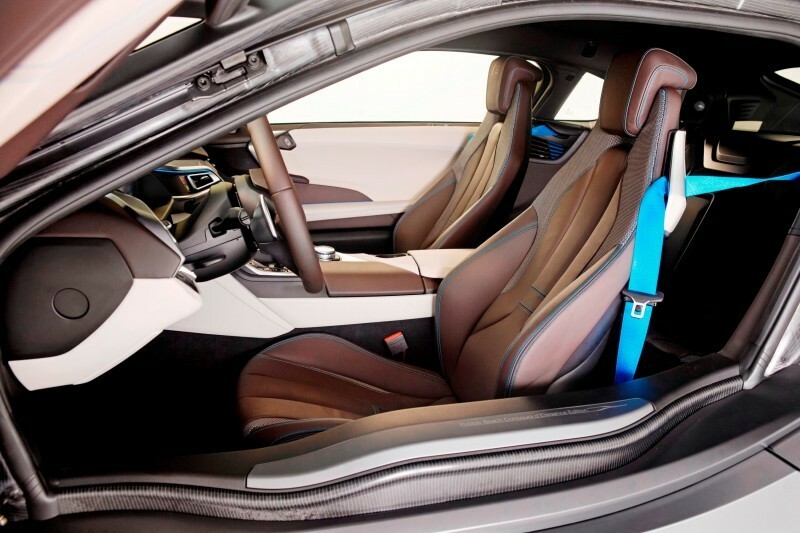 Continuing the celebration of the U.S. arrival of the BMW i8, on Saturday, August 16, Jay Leno will present a one-of-a-kind 2014 BMW i8 Concours d’Elegance Edition, which will be auctioned off during the annual Pebble Beach auctions. The i8 Concours d’Elegance Edition will be distinguished by a unique paint scheme and interior treatment as well as other features that will make it unlike any other BMW i8 in the world. 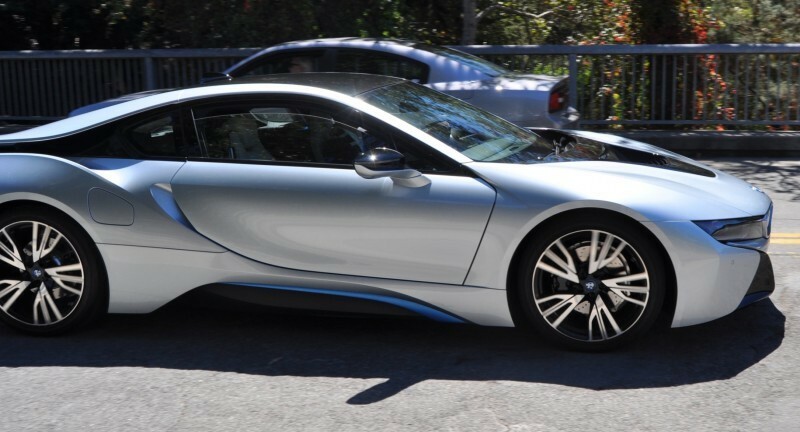 For more information on the auction, please click here. 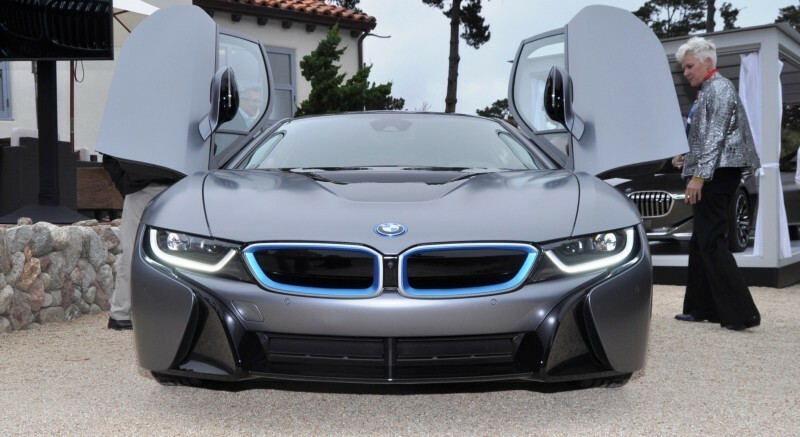 With its futuristic design and groundbreaking technology, the BMW i8 operates with extremely low fuel consumption (76 MPGe) and emissions output, and is capable of accelerating from 0-60 mph in 4.2 seconds on the way to an electronically governed top speed of 155 mph. The BMW i8 has an MSRP of $135,700. It joins BMW i’s growing lineup of visionary vehicles dedicated to solving many of the mobility challenges faced by the world’s most densely populated cities.